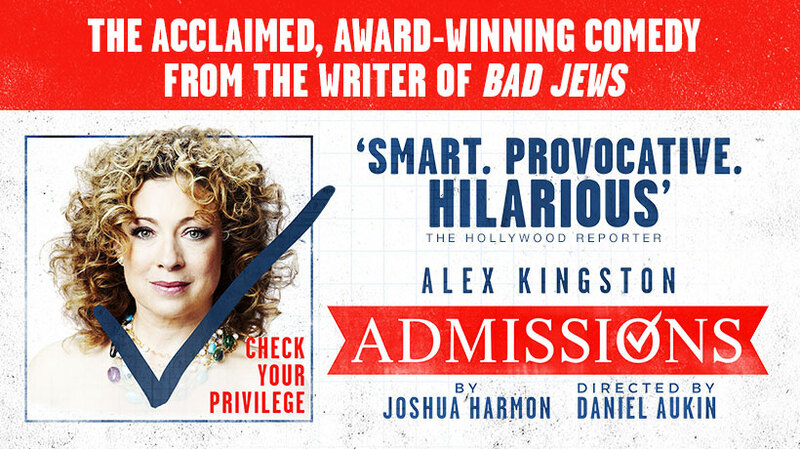 Alex Kingston (ER, Doctor Who) stars in this award-winning and bitingly funny new comedy from the writer of acclaimed hit Bad Jews, direct from New York&apos;s Lincoln Centre, producers of Oslo. Sherri is the Head of Admissions at a private school, fighting to diversify the student intake and she wants you to know about it. When her son is deferred from his university of choice, and his best friend - who &apos;ticks more boxes&apos; - is accepted, Sherri&apos;s personal ambition collides with her progressive values. Piercing and provocative, Admissions dares to question whether the race to the top is ever simply black and white.